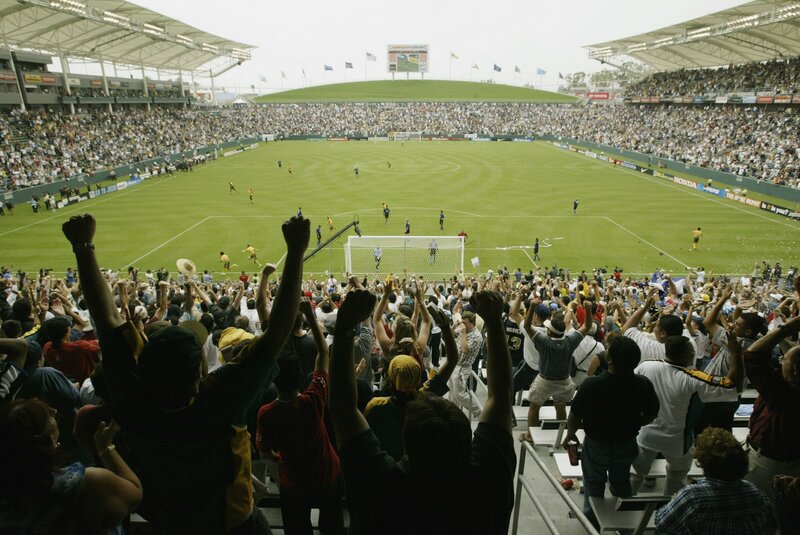 I just finished watching the U.S. Men’s National Team 2007 debut against Denmark at the Home Depot Center in Carson, CA, and I must say that I was impressed by the Americans’ outing. After a 1-1 score going into the half, the U.S. came out in the second half and took care of business to finish 3-1. 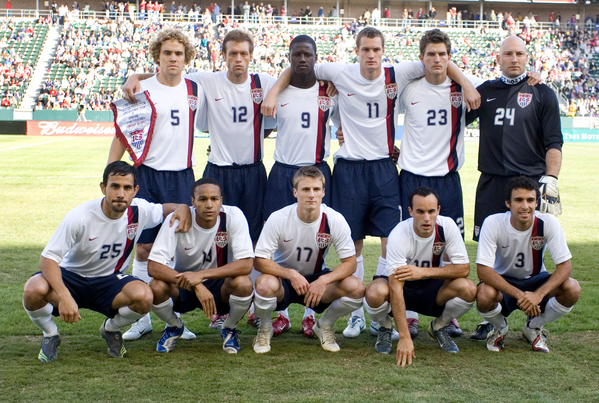 The game featured goals from Landon Donovan (his first in 19 games), Jonathan Bornstein, and Kenny Cooper. More importantly this friendly marked Bob Bradley’s debut as the team’s Interim Head Coach. This game was very intriguing and it left me with several afterthoughts. First of all, the game shows that the U.S. has recovered from their trip to Germany. Even though the U.S. played an inexperienced and unfit Denmark squad, the U.S. played with confidence and didn’t show a hangover from the 2006 World Cup. After Germany many football analysts across the globe started to doubt the U.S.’s soccer abilities, and this game proves that we still have the skill, talent, and desire to compete at the highest level. Secondly, the 3-1 finish shows that Bob Bradley can coach at the international level. With a roster full of unproven domestic players, Bradley selected a lineup that matched up with the Danish squad pretty well. However, I was more impressed with the Interim coach’s late game adjustments. It was clear that Denmark wasn’t as fit as the U.S. squad, and late substitutions of Kenny Cooper and Justin Mapp proved to be the difference. Thirdly, the future of the U.S. National Team looks bright. This game featured several players that could earn permanent spots on the National team and evolve into future starts (Kenny Cooper, Justin Mapp, Jonathan Bornstein, Bobby Boswell). I think that Kenny Cooper might be the perfect replacement for Brian McBride. He’s big, strong, good in the air, and has great footwork for someone his size. Finally, the Home Depot Center is a beautiful place for soccer and it is worthy of the world’s finest players. Sure the HDC might not be as big as the cathedrals in England, Spain, and Germany, but it fits the U.S. perfectly. It seats around 20,000 in a tight atmosphere, and has plenty of room for expansion. I look forward to seeing Nate Jaqua, Landon Donovan, Chris Albright, and David Beckham knock the ball around this upcoming season. It will be interesting to see how the U.S. team plays against Mexico on February 7th. This match will truly test Bob Bradley’s skills as he has to find a balance between international and domestic players on his roster. Mexico would love to come out and embarrass Bradely and the rest of the team.